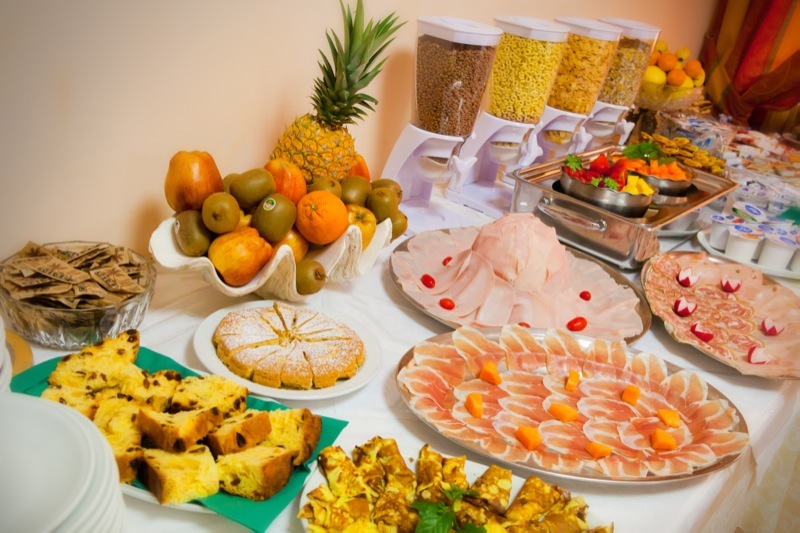 There is a wide range of sweet and savoury breakfast items: a sweet buffet with homemade cakes, pastries, brioches, cereals, biscuits, yoghurts and various types of bread. 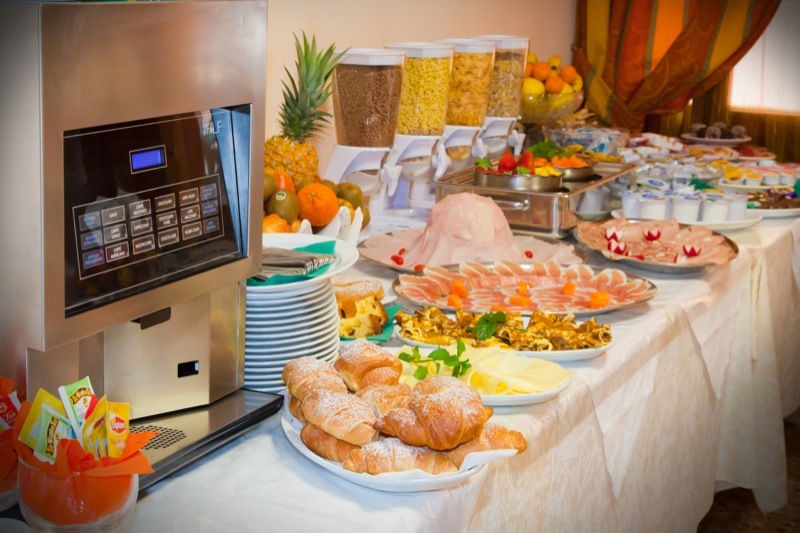 A savoury buffet with ham, salami, cheese, eggs, sandwiches and toast. 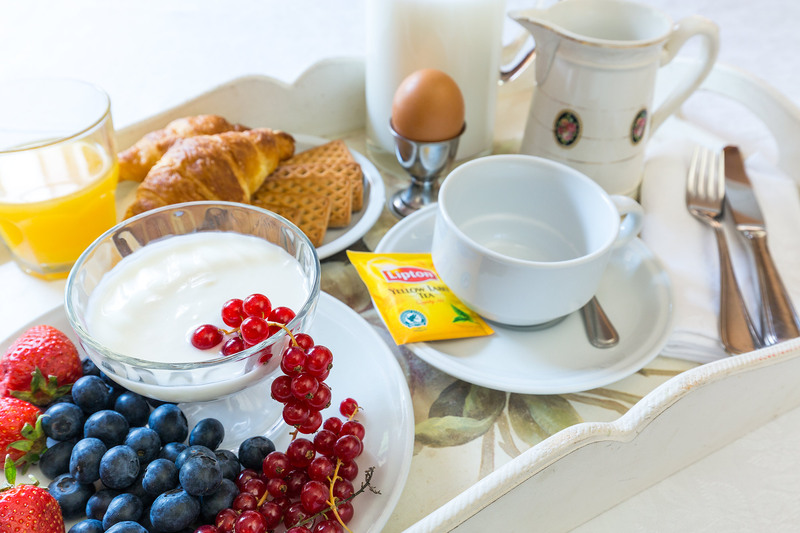 Drinks: coffee, decaf coffee, tea, caffeine-free tea, cappuccino, hot chocolate, hot or cold milk, fruit juice and freshly squeezed juices. A wide choice of meat or seafood dishes with an inviting buffet of fresh vegetables – both raw and cooked. From June to September there are themed lunches and dinners where you can enjoy dishes based on typical local cuisine. Hotel Regina also offers an a la carte restaurant menu. Prepare to sample authentic traditional Caorle cuisine. Only the finest products are used, with excellent meat, freshly caught fish, perfectly fresh vegetables and seasonal fruit: all chosen and carefully cooked by Sandra herself. For many years our kitchen has offered a special menu for those with gluten allergies on request.